Singapore is big on blockchain, amid the city state’s Smart Nation push. It is running through a slew of blockchain initiatives to make Singapore the blockchain hub of the world. 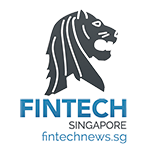 Leading higher education institution Ngee Ann Polytechnic announced in May that it has teamed up with United Overseas Bank’s FinLab blockchain startup Attores. Ngee Ann students will be awarded digital certificates called Diploma Plus Certificates, which will be deployed directly on the students’ LinkedIn profiles. The move is a first among the local polytechnics. With blockchain technology, potential employers or university admissions office will have it easier when it comes to validating the authenticity of the certificate. If the pilot is successful, the plan is to extend it to all of NP’s Diploma Certificates, accessible via a blockchain browser online, said Ngee Ann Polytechnic. Ngee Ann Polytechnic’s blockchain initiative is in line with Singapore’s massive efforts to become a Smart Nation. And they are not alone – Singapore’s decision makers are incorporating blockchain into the lives of ordinary Singaporeans in all kinds of ways. Blockchain, also known by its more formal name distributed ledger technology (DLT), is a digital database that is shared and synchronised across multiple sites, networks and countries. This technology has now extended to Singapore’s property industry. With blockchain, real estate transactions can be more transparent, with necessary paperwork like titles, contracts and agreements digitised and secured using blockchain technology. Averspace is one such platform that lists properties for sale and for rent, connecting buyers and sellers and brokering sales using digitised contracts secured by blockchain. It is the first of its kind in Singapore to enable homeowners and prospective tenants into digital tenancy agreements on smartphones. Through this technology, it saves users thousands of dollars in traditional real estate commission and fees. 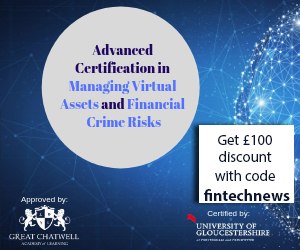 Averspace is supported by FinLab’s Attores. Attores also backs Popety, a directory of property listings maintained by blockchain technology. Utilities provider SP Group has also announced last month that it is collaborating with a consortium of global energy players to develop blockchain solutions that will help customers save cost and to drive greater integration of renewable energy sources on the electricity grid. Blockchain technology can transform the energy sector by lowering transaction costs thus reducing the cost of utility bills, said SP. For consumers, it allows energy devices such as heating, ventilation and cooling systems, electric vehicles, batteries and solar photovoltaic to transact with each other, while supporting utilities and grid operators to integrate more renewable sources at a much lower cost. The unique attributes of Blockchain technology could also provide much higher levels of cybersecurity for the industry, SP added. Obstacles remain for Singapore’s drive to integrate blockchain in certain areas. 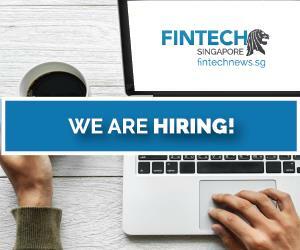 One of these areas is finance, and to retain Singapore’s reputation as a finance hub, the Monetary Authority of Singapore (MAS) is taking this topic seriously. In March, it concluded a proof-of-concept project to conduct domestic inter-bank payments using distributed ledger technology (DLT). The project was formed in partnership with R3 and a consortium of financial institutions. The project was borne out of a need to explore using blockchain in financial transactions. 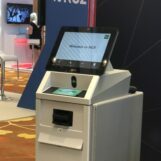 Titled Project Ubin, it evaluated the implications of having a tokenised form of the SGD on a distributed ledge, and its potential benefits to Singapore’s financial ecosystem. If blockchain-based interbank payments are successful, it could lead to faster settlements in securities and bond trading. One such liability that arose during the study was credit risk. Project Ubin stated in a report that an appropriate legal structure is required to ensure that the transfer of Digital SGD is equivalent to a full and irreversible transfer of the underlying claim on the central bank’s currency. This would ensure that there is no credit risk associated with the creation, distribution, use or redemption of the Digital SGD, said the report. 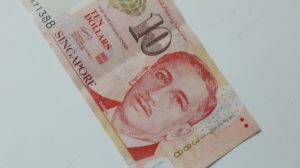 With an unprecedented push for the adoption of blockchain led by Singapore’s government, Singapore is clearly en route to being at the forefront of the technology, and perhaps an example on how blockchain can work to improve the lives of its citizens.